1) It all starts on Wednesday with a BYOP (Bring Your Own Pumpkin) event at the Elliotborough City Park at 134 Line Street. WHAT: BRING YOUR OWN PUMPKIN AND FAVORITE CARVING TOOL. WE WILL HAVE TOOLS TO SHARE, REFRESHMENTS, AND WILL COMPOST OUR PUMPKIN REMAINS IN THE GARDEN. WHY CARVE ALONE?? 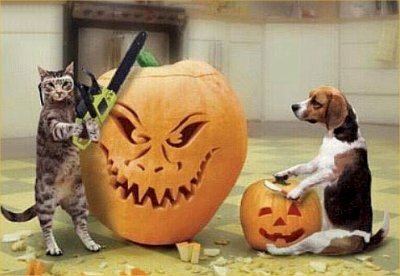 JOIN US FOR AN EVENING OF CARVING AND CONVERSATION, AND GET PREPARED TO ENTER THE JACK-O-LANTERN CONTEST AT THE ELLIOTBOROUGH HALLOWEEN FAIR – OCT. 30TH IN ELLIOTBOROUGH PARK 7-9PM!! 2) It continues on Friday (actually, Friday, Saturday and Sunday) with Theatre Marvelosa debuted their latest Goth rock opera Dead of the Night at Eye Level Art. WHEN: Friday, Saturday AND Sunday October 29, 30 and 31. 8PM doors open, 8:45 performance starts and its all over by 11PM. WHAT: This Halloween Charleston will be invited to enter incognito; a world where theatre is a celebration of ancient and futuristic bohemian characters, and escapism is an elixir of exploration. With live music, video, and live performance this event will be the hottest ticket in Charleston for Halloween. This is a sit down performance 100 seats each night. There will be 12 performers, a live band, special video to compliment the performance, and creative lighting. COSTUME? If you would like but not mandatory. 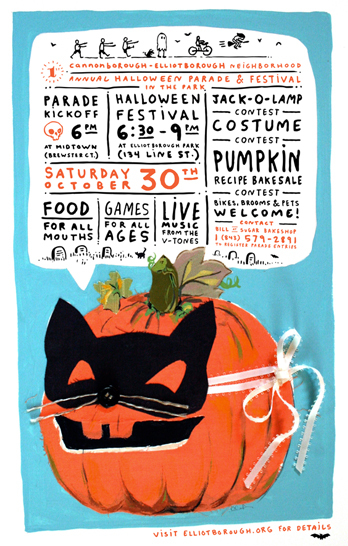 3) It finishes on Saturday with the Halloween Parade & & Fair! WHERE: It all starts at Midtown Brewster Court, and then parade to Elliotborough City Park. WHAT: It’s a parade and then a fair. And at the fair, there is going to be cool stuff. Food for all mouths, games for all ages, beverages for those who are thirsty, activities for those who need stuff to do like a Jack-o-Lamp contest, costume contest, and pumpkin recipe bakesale. And best of all, we have a secret announcer for the event….